Abstract—Predicting student’s performance is one way that can be conducted by university to monitor their student to prevent student failed. Student final GPA is one parameter that must be full fill by student to graduate from university and it can be used to measure student’s performance. Educational Data Mining is popular techniques to predict student’s performance. This study tried to implement two popular data mining clustering and classification analysis to predict student’s performance. K-means algorithm is used since it is very popular and easy to be implemented clustering algorithm. Linear Regression and Support Vector Machine (SVM) then used to predict the final GPA since the attributes used in this study is numerical data. The clustered data and non-clustered data were evaluated in the classification analysis and the MSE was compared. The result showed that clustered data had smaller RMSE and Linear Regression was better than SVM. Index Terms—Student, performance prediction, educational data mining. The authors are with the Department of Industrial Engineering Universitas Islam Indonesia, Jalan Kaliurang km. 14,5 Yogyakarta, Indonesia (e-mail: annisa.uswatun@uii.ac.id, harwati@uii.ac.id). 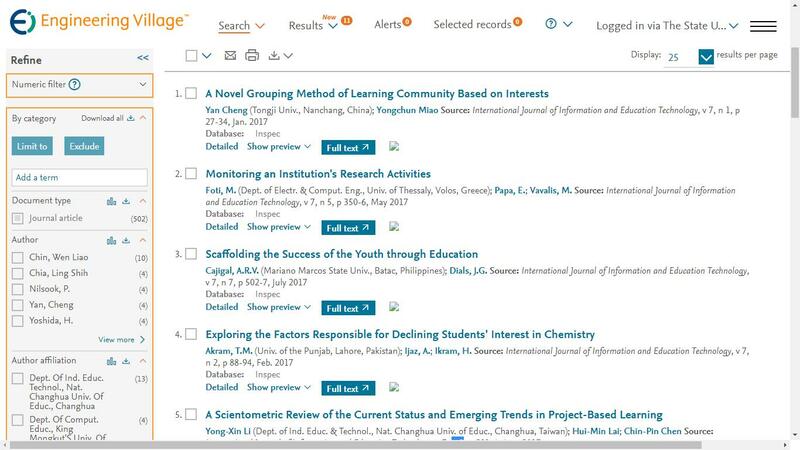 Cite: Annisa Uswatun Khasanah and Harwati, "Educational Data Mining Techniques Approach to Predict Student’s Performance," International Journal of Information and Education Technology vol. 9, no. 2, pp. 115-118, 2019.